The new Qlik quiz maps your personality to the closest data visualization. I’m sure that data scientists and another professionals who analyze their company’s data take a more pragmatic approach to which chart they should pick than I do. They know right off the bat which chart is most effective in showing data the right way for the right audience: the colors, the format, even the labels are carefully formatted. For me, data visualization has been more of a discovery process with more than a few learning experiences along the way. Recently, with the helpful tutelage of Chuck Bannon and using the video trainingsdeveloped by Mike Tarallo (@mtarallo) I discovered how much I enjoy creating map visualizations. 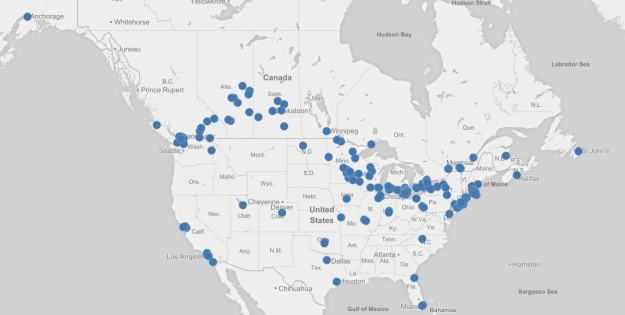 Here is an example of a Qlik Sense map I put together visualizing the hometown of every North American college hockey alumnus who played in the NHL during the 2014-15 season. I was able to extrapolate data from Hockey-Reference.comand turn the hometowns into GPS coordinates. Those coordinates were then plugged into Qlik Sense and viola: a map! This map allowed me to see some interesting trends. The majority of these players come from traditional North American hotbeds but now there are new players entering the league from nontraditional place like Florida, Texas and California. 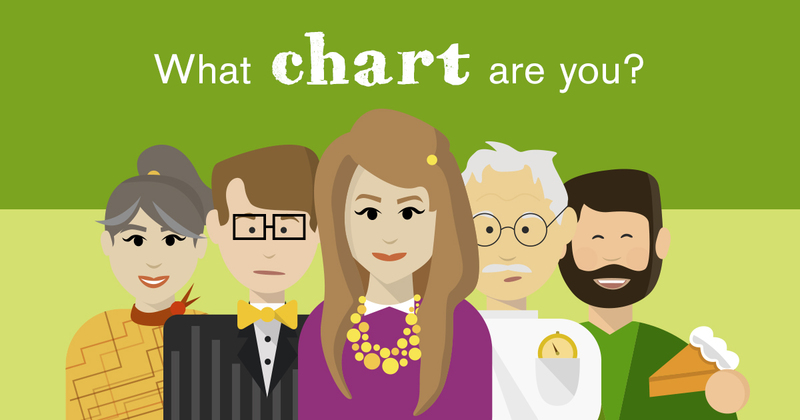 It all came full circle for me when I took the brand new Qlik quiz which I am happy to unveil below: What Chart Are You? Unsurprisingly, when I took the quiz I got “Data Map”: regardless of complexity or context the map lays it all out there and makes complicated concepts easy to understand and access. I know it’s just trying to capture the spirit of the thing, but I’d say that’s pretty accurate! Be sure to give the quiz a try below and let everyone know what chart YOU get on Twitter and Facebook.